Bioenergy is relied upon worldwide as a modern solution for local energy supply and waste managements. With clear technical details, data tables and illustrative pictures explaining the fundamentals of different bioenergy projects, this guide reviews the main technologies and offers relevant best-practice examples. Beginning with an overview of the technologies and types of systems available, the guide is packed with essential 'know-how' on anaerobic digestion, bio-fuel, small-scale ovens, large-scale boilers and gasifiers. Each technology is explained by examining the overall system and its components, planning, operation, maintenance, installation and economics. Information is given on both heat and combined heat and power. In addition, international legal framework and data on selected regional, national and international support programmes are provided. 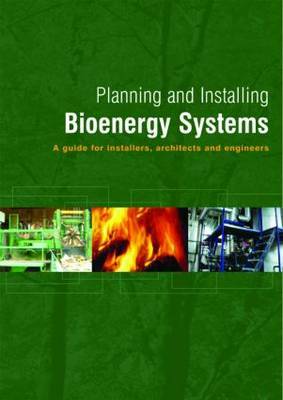 In short, this book describes the key features of different bioenergy technologies and offers professionals expert guidance for installation. It will be a cherished resource for engineers and architects alike who are working in new projects, farmers keen to explore this technology and practitioners or students with a specialized and practical interest in this field.